It’s the most wonderful time of the year! Christmas you ask? 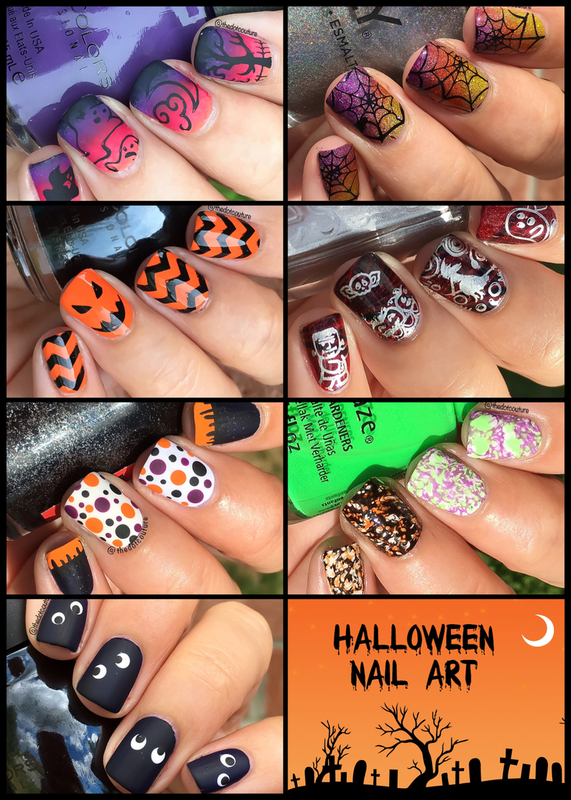 Of course not….I’m talking about Halloween! That time of the year where we get to dress up all spooky-like and go to strangers’ houses begging for candy! It doesn’t get more Halloween than orange and black and jack-o-lanterns. 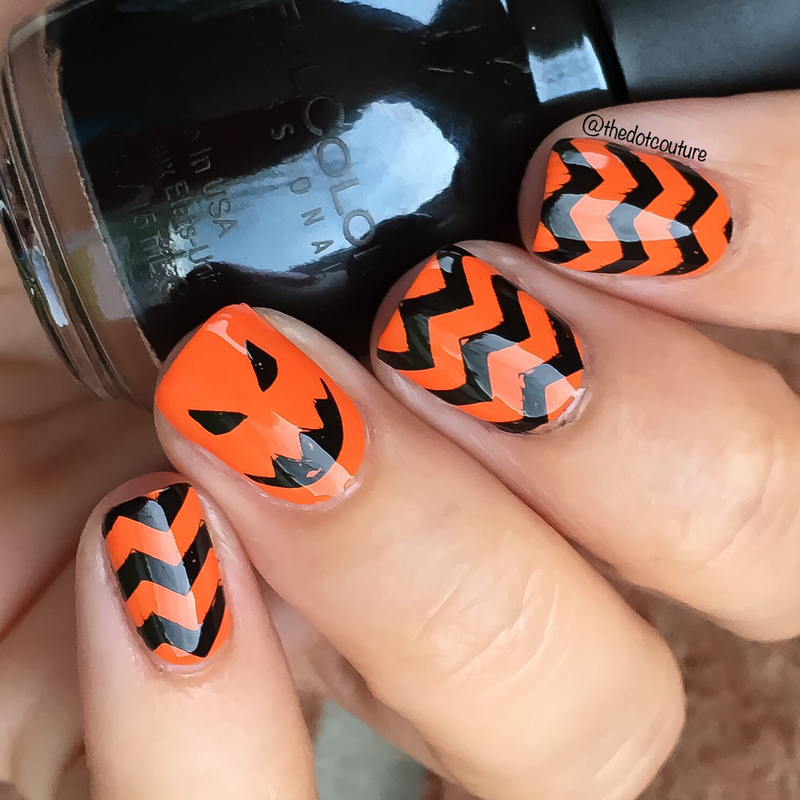 These orange and black chevrons give Halloween a chic spin! 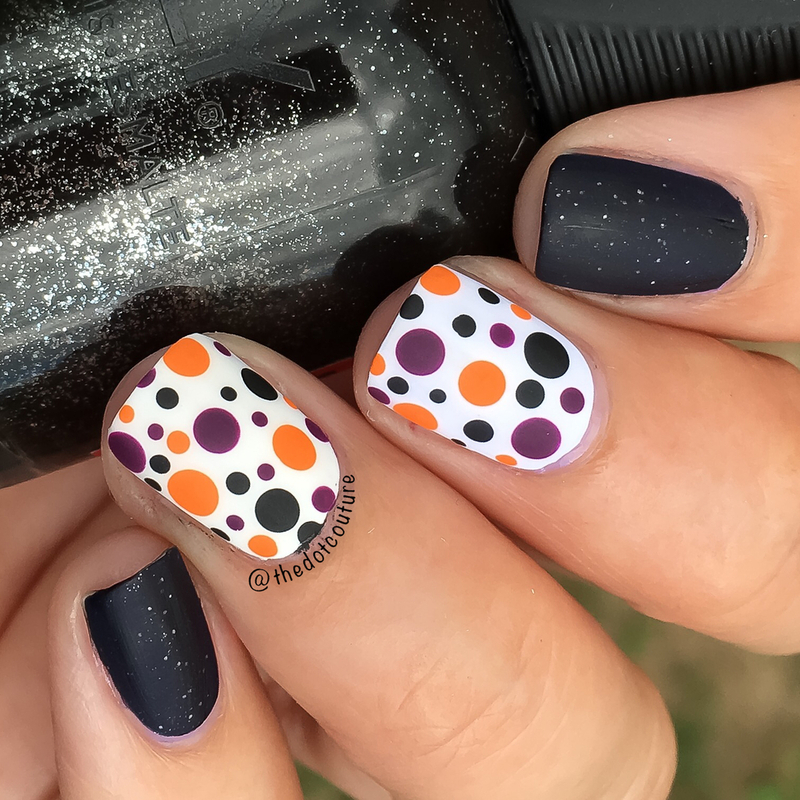 Paint your nails a Halloween orange (this is Sally Hansen InstaDri in Pumpkin Queen). 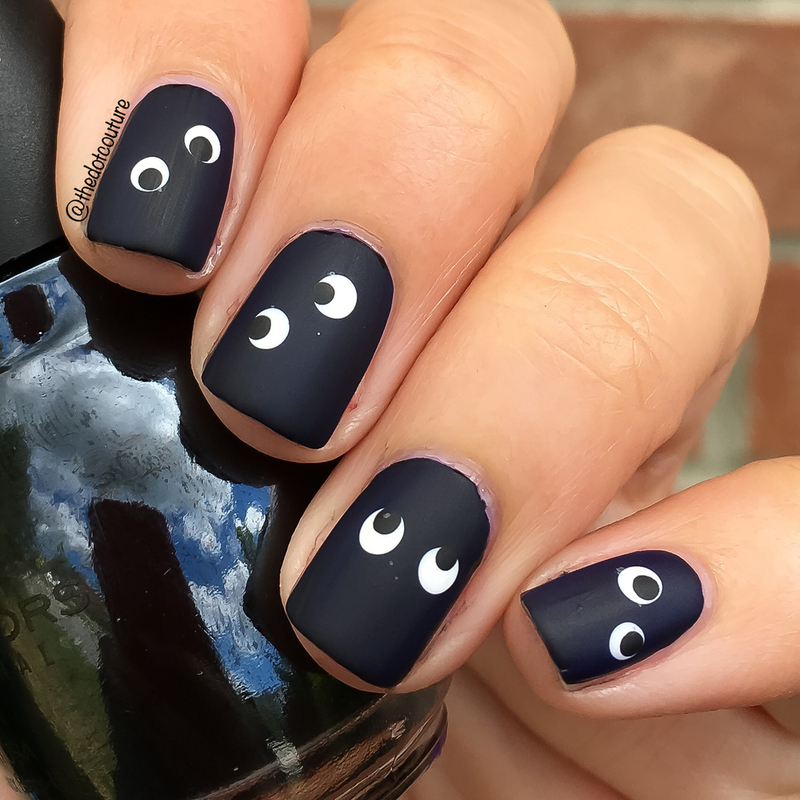 Then use nail vinyls or a stamp to create the black chevron pattern. You could also freehand this with acrylic paint. 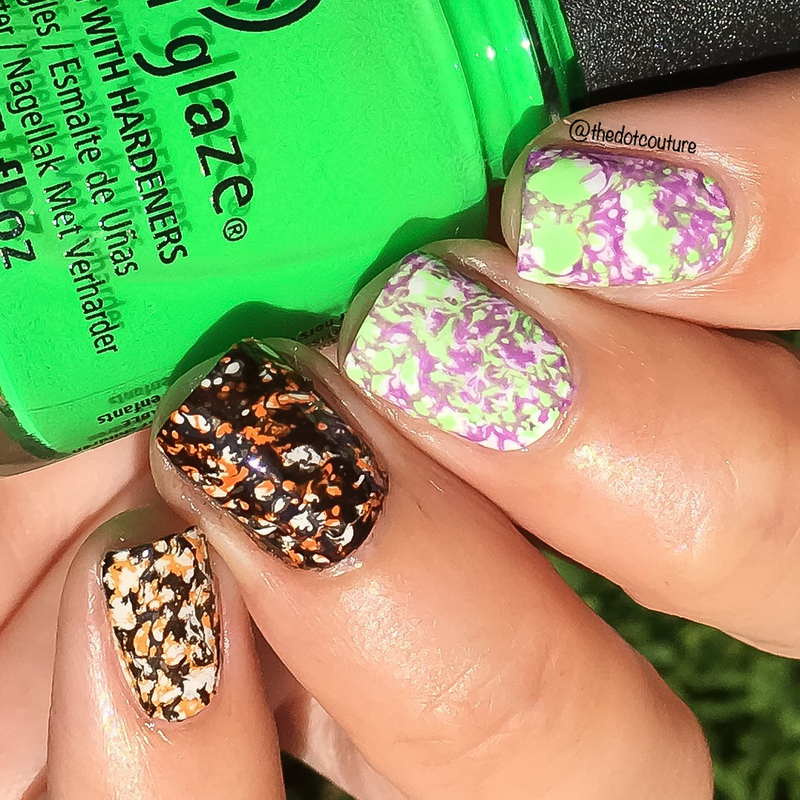 Paint a spooky jack-o-lantern face on your ring finger and top coat. 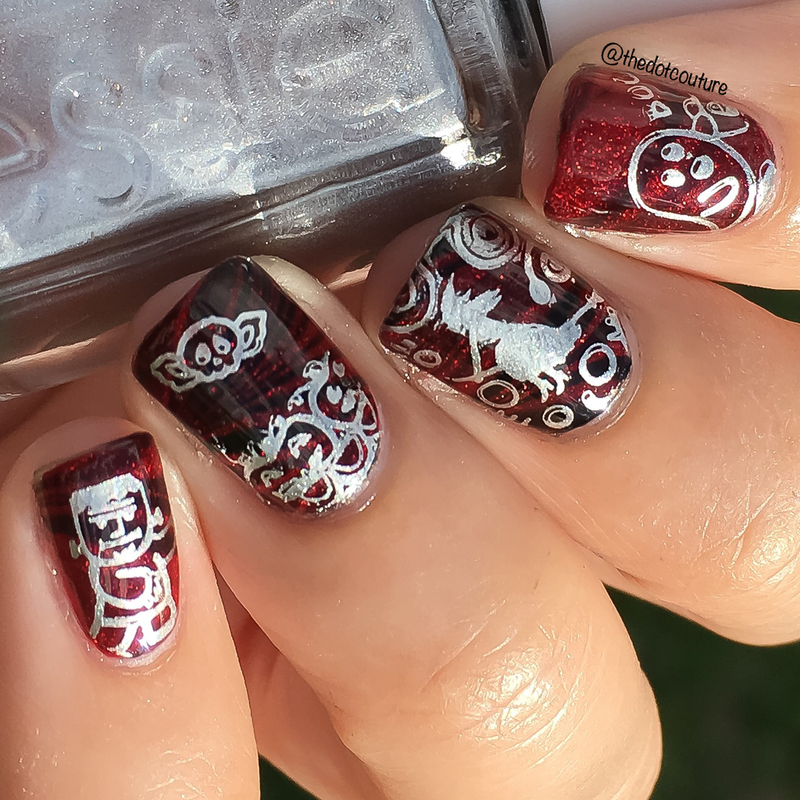 These last nails are some of my all-time favourite nails ever. 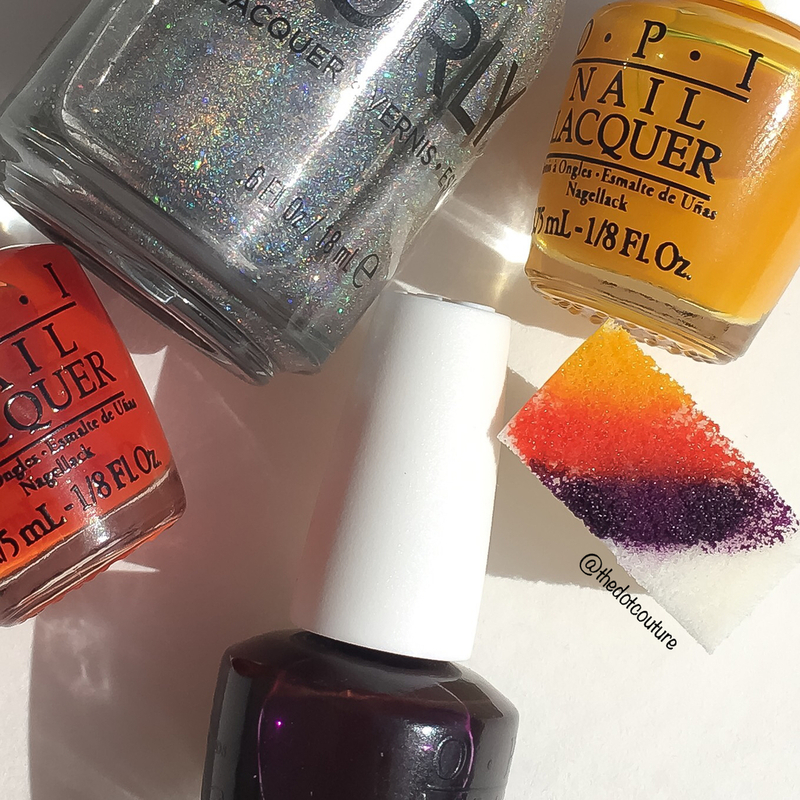 I started with a base of Orly Mirrorball, which is a silver holographic polish. 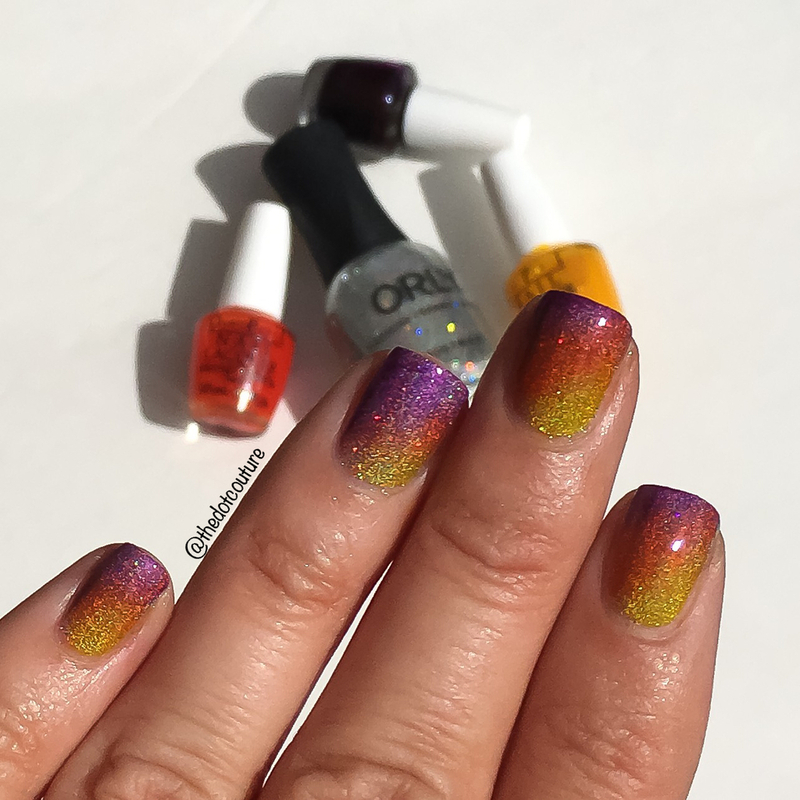 I then created an angled gradient using some sheer polishes and a makeup sponge (these are OPI Color Paints). It looks so pretty on it’s own! 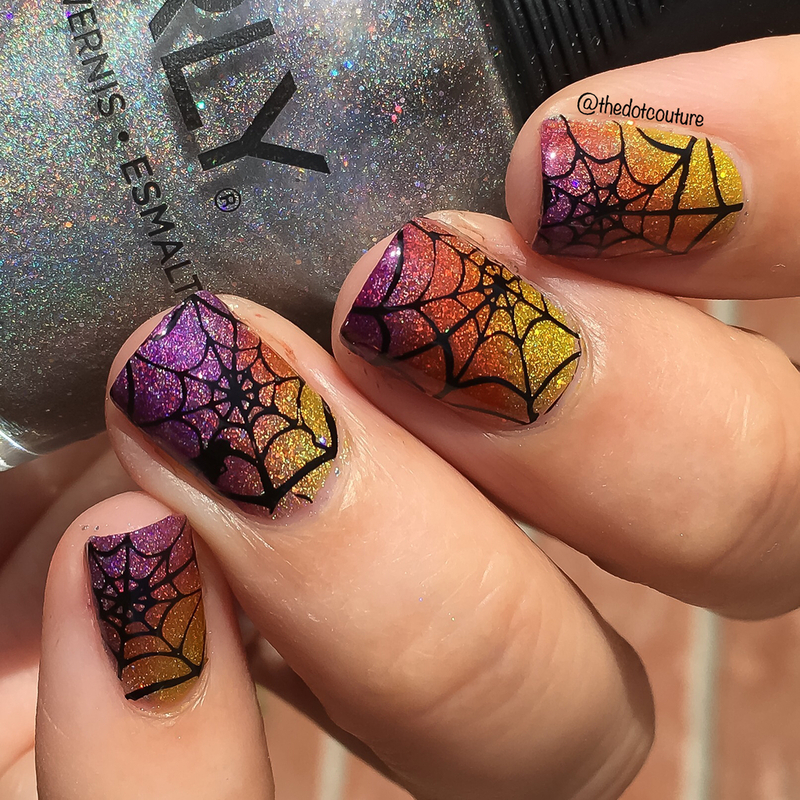 Then I stamped some spiderwebs over that – because what’s Halloween without some creepy disgusting holographic cobweb-y nails right? 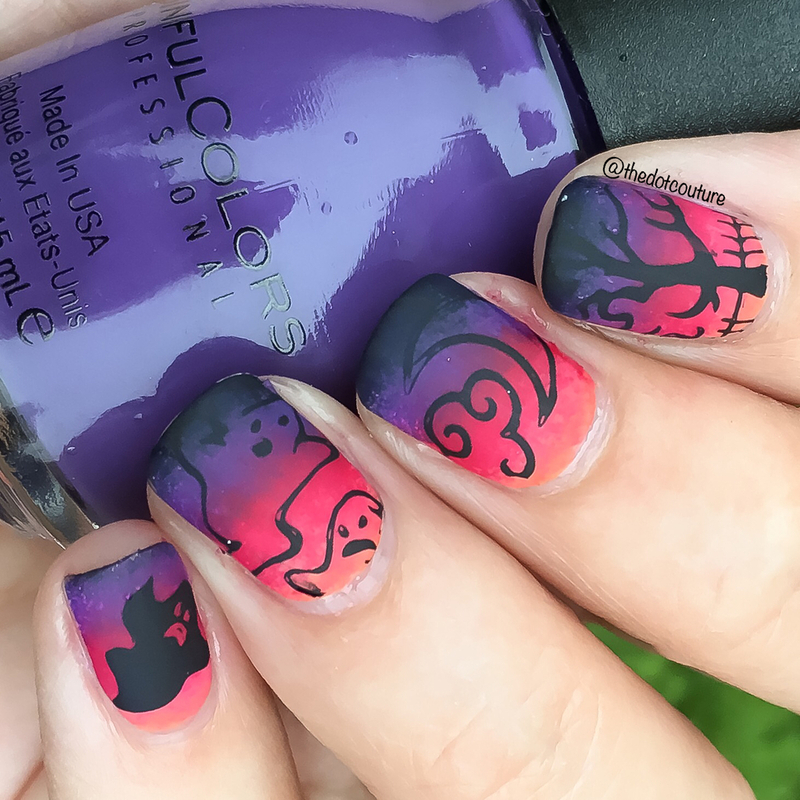 I hope you give some of these a try this haunting season! What are you going to be for Halloween? Personally I’m thinking a pumpkin or a witch myself. 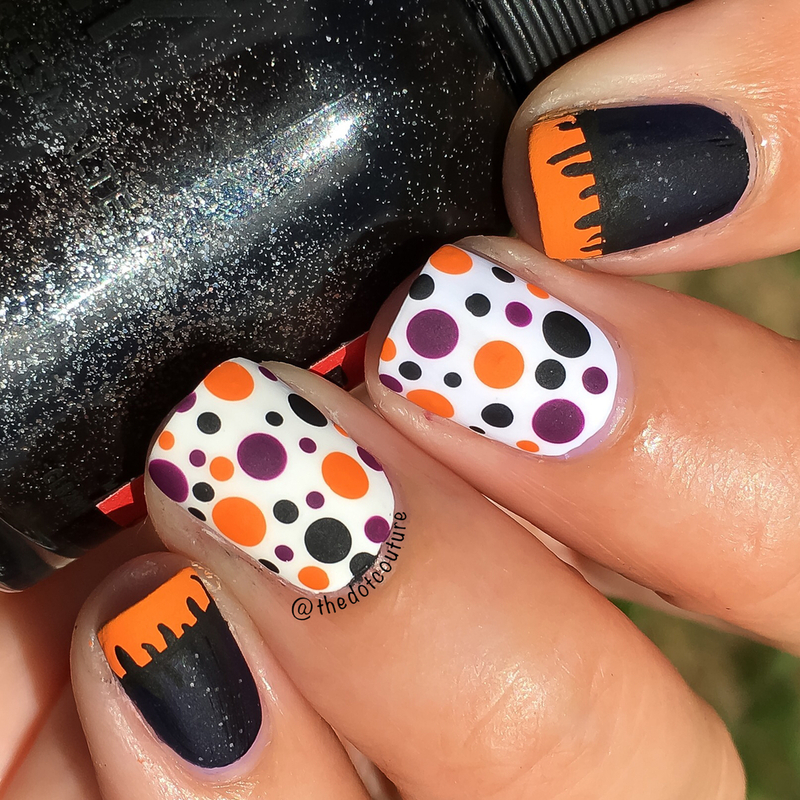 If you would like to see more spooky nail art come find me on Instagram at @thedotcouture – Halloween er I mean October is my favourite month of the year!